Home India Adventure Travel What are the places to visit in Koyna ? What are the places to visit in Koyna ? According to the statistics released by Expedia, the Indians don’t take much vacation. The annual survey further reveals that 75% of the Indians feel vacation deprived which is counted highest in the world followed by other countries like South Korea which stands at 72% and Hong Kong which stands at 69%. Due to the overwhelming stress, the Indian workers don’t take vacation and leave their holidays unused after Australia, Japan and New Zealand. So, if you are one among them, prop up your feet and book your tickets to Koyna- a place filled with parks, wildlife tours, and much more. Here, are the most popular tourist destinations to visit in Koyna. Koyna is a popular holiday destination that looks blessed during the winter and monsoon months. The region is enveloped with dense forests, rocky terrains and great biodiversity. It is the best place for adventure freaks. The weather remains pleasant here and is ideal and the safest region for trekking. Koyna Dam-It is one of the largest dams located in the region of Maharashtra. It is a concrete dam constructed on Koyna river from Mahabaleshwar. Koyna Wild Life Sanctuary– The wild life sanctuary is earmarked under the natural heritage site by the government of Maharashtra. The sanctuary is nestled in the Western Ghats covering an area of 423.55 kms. Some of the spectacular species found in Koyna Wild Life Sanctuary include Royal Benegal Tiger and King Cobra. The best time to visit this wild life sanctuary is during the months of monsoon between June and August. The sanctuary remains open from 7.00 AM to 6.00 p.m.
Shivsagar Lake– It is the best lake to do boating. Most of the travelers call it by the name of Mini Kashmir and many people get attracted towards it. The tour to this place is not disappointing. 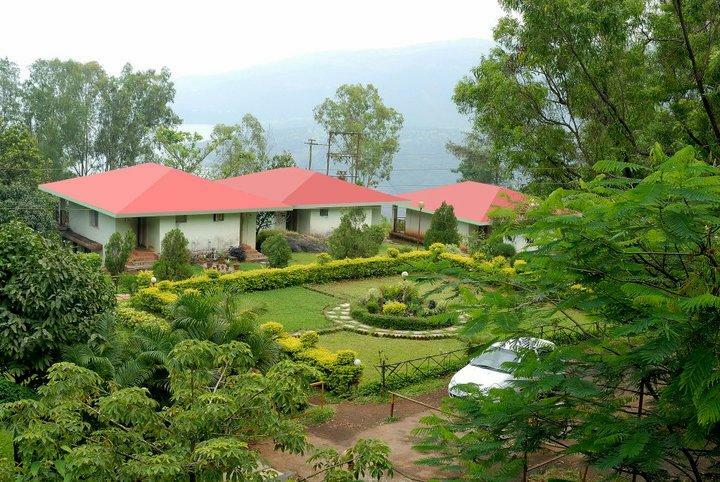 The lake is surrounded by verdant green landscape and beautiful valleys, it is a reservoir of Koyna Dam. Similar to Kashmir, the lake is decorated by Shikaras which could be hired on the hourly basis. Nehru Garden– If you love nature to the core, coming to this park won’t be disappointing. The garden is maintained in a good shape, whether there are visitors or not. The garden is huge and is surrounded with green plantation as well as children play park. From here, you can have a view to Koyna Dam. You can even view 30 minutes movie clipping organized by the authorities that provides details about the dam and its history. Ozarde waterfall– Ozarde Waterfall is one of the scenic destinations to visit. The waterfall is popular for its medicinal properties but you have to be careful about small snakes and unknown reptiles. But don’t be afraid otherwise you will miss the beauty of this waterfall. The waterfall is surrounded by dense forest and is really a nature’s delight. What you can indulge in? The visitor can indulge in various activities like photography, jungle safari,boating, camping, fishing, bird gazing, trekking, star gazing, night trail, to name a few. In a nutshell, the destination Koyna is filled with adventure and enthusiasm. Coming to this place will not be a disappointment. So, if you haven’t taken the vacation for a long time or want to spend some time in the cradle of nature, Koyna is a perfect place to visit at. The destination promises a fun filled memories for the people from all walks of life. Places in India where you can go with your kids.